With Charleston Race Week just over a month away and already over 220 boats registered, it’s time to gear up! Crugear is ready and waiting to make sure you look great (how you sail is up to you!). there. Here are several options for you that are available in the weeks to come. but on the water a tech tee is key for wicking the moisture away from the body. feels like it was spun from silk, it is amazingly soft. keeping the color of the ink nice and bright. This is always an important part of the tech shirt making process. With endless possibilities for designs and multiple places to put the decoration, you might need some inspiration – Check out some Crugear examples. Next, a good looking team jacket is the Softshell Jacket by Gill. It fits well and comes in two colors – my personal favorite being the silver. With team name, yacht club burgee or just about any small embroidered logo on the front chest you can’t go wrong. A softshell is the perfect layer for the cool mornings and evenings of April in Charleston. Use it to keep you warm on your way in and out from the race course or to hit that tent party in style. 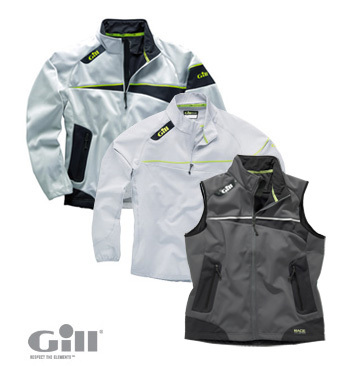 The Gill Softshells make a great jacket, smock or vest for those looking for more than just a tech shirt. 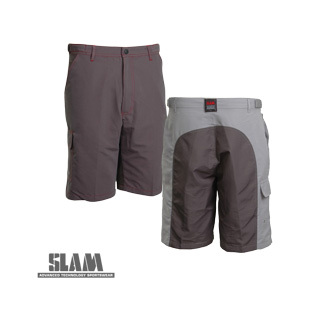 shorts MATCH the men’s – CRAZY! You will look like a part of the team! Embroider a a logo on one of the legs to make sure you always are repping your team. The technical aspects work great on the boat – keeping you dry no matter what course you’re on. Comfortable too! You can’t go wrong with a pair of Hissars. So you heard it here, three great options for gear, recommended by the expert. The whole ordering is easy with Erica available to help you through all steps to ensure you get the gear you need. Visit the Crugear Page or give Katie a call at 800 729 9767 to get started. But don’t delay! All orders are done on a first come, first serve basis. That means no calling on the Wednesday before Race Week expecting gear!